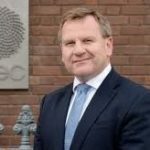 Danny McCoy became Chief Executive Officer of IBEC in July 2009. Prior to joining Ibec he was a senior economist at both the Economic and Social Research Institute (ESRI) and the Central Bank of Ireland. He has held lecturing posts at Dublin City University, University College London, University of Oxford and Trinity College Dublin and has been a consultant for the European Commission and the OECD. He is a member of the Irish National Competitiveness Council, the National Economic and Social Council and the Export Trade Council. Ibec is Ireland’s largest lobby group representing Irish business both domestically and internationally. Its membership is home grown, multinational, big and small, spanning every sector of the economy. Together they employ over 70% of the private sector workforce in Ireland. IBEC and its trade associations lobby government, policy makers and other key stakeholders nationally and internationally to shape business conditions and drive economic growth. It has over 230 professional services staff in seven locations including Brussels and has 42 different trade associations in the group. Ibec is a market leader in forecasts and surveys and its role as public commentator on the economy has been significant, having correctly identified the turnaround during the economic crisis. More recently, Ibec has accurately forecast economic growth rates and identified the opportunities that these, along with low interest rates, provide for national infrastructure investment. Through its press office, Ibec sets out the views of business on key issues, regularly leading the national print and broadcast media. Ibec executives regularly speak at major national and international conferences and debates, and are members of key government expert groups and committees. It provides a wide range of professional direct services to members including employer advice and representation on HR and industrial relations issues. The on-the-ground aspect of this service places Ibec in a unique position of being close to the challenges and concerns of employers. This enables the team to better capture and articulate issues affecting competitiveness and business development to government and policy makers. After the meeting, Dinner will be served in Bellini’s restaurant in the hotel.